This fully enclosed 16 gauge steel console insert adds lockable storage and convenience to the unsecure factory console. 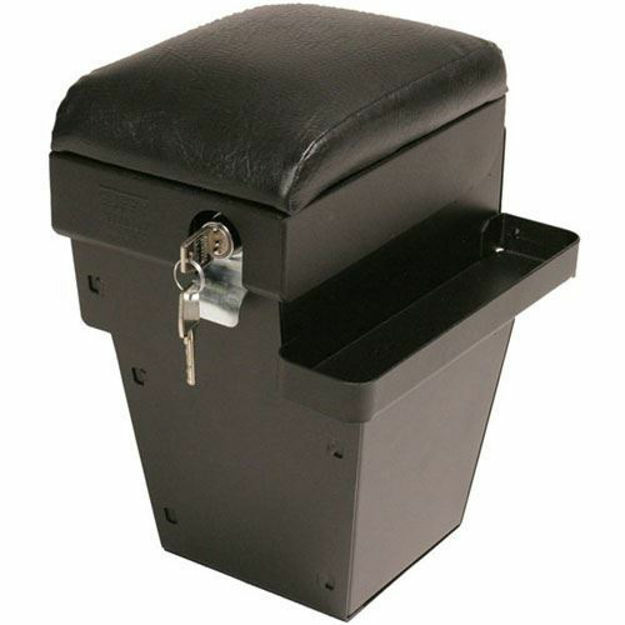 It provides a comfortable and durable armrest while keeping the original factory drink holder. The unique design allows the driver side fold-down armrest to still be used. Console insert features an internal storage tray to keep smaller items in as well as an external storage tray which is perfect for storing sunglasses and other loose items. Security is provided by Tuffy’s patented Pry-Guard II Locking system which features a 10 tumbler double bitted lock and heavy-duty latch.